Oh my! That is what I said when I opened an email from Misty wanting to create this awesome decal! This is a great message and you can read the whole story from Bryan here. We went through just a few proofs and size options and Misty had her custom decal in about a week. It's hard to tell but this design is actually 44" tall x 48" wide - it makes a real impact and just begs to be read. And those pom poms are just too fun. 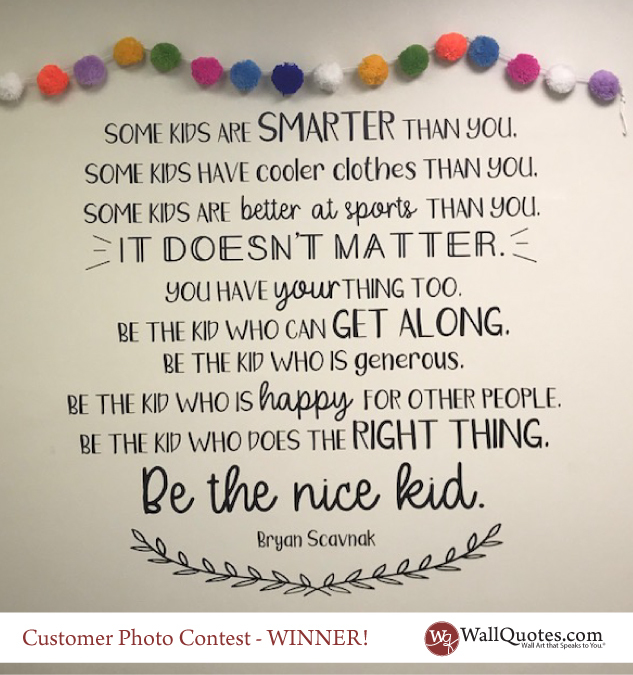 Make sure to send in those photos to info@wallquotes.com. Or, tag us @wallquotes on Instagram or @belvederedesigns on Facebook to enter for next month's drawing!